An early warning system is more than just a technology platform. For an early warning program to change student outcomes, it's essential to build human processes and protocols around taking action on the data to support at-risk students. 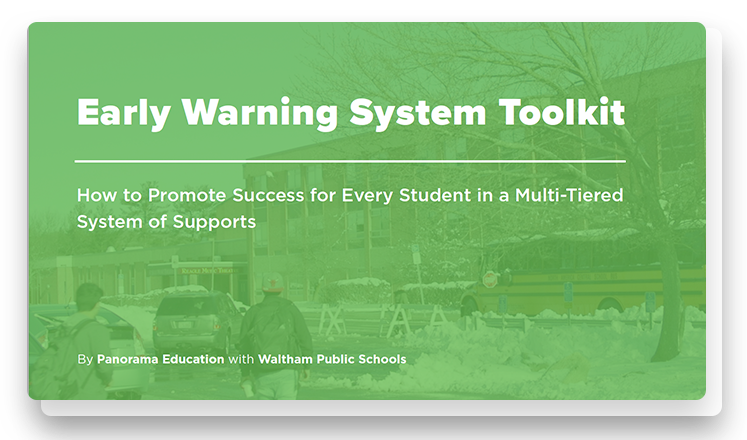 In this toolkit featuring Waltham Public Schools (Mass. ), learn how school and district leaders are building educators' capacity to deliver excellence and equity for every student using an early warning system. Interested in bringing early warning work to your school or district? Get in touch with our team today.